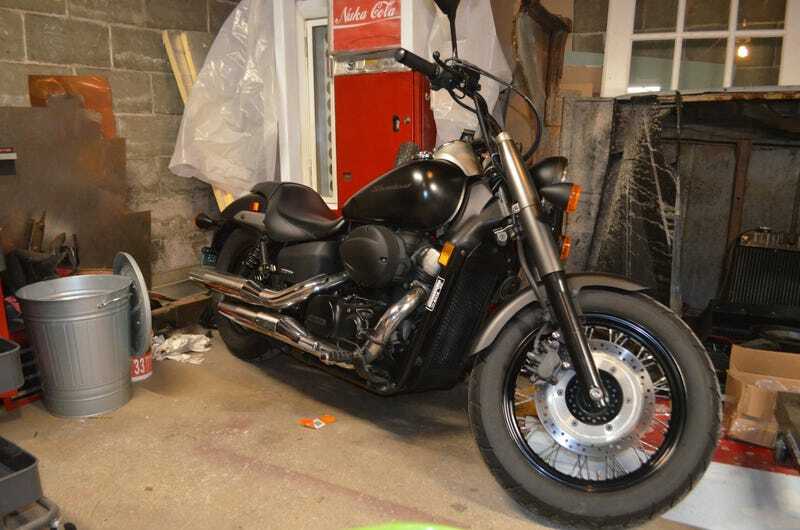 Just picked up my “new” bike, a 2012 Honda Shadow Phantom. It has 25K miles, but has been fully serviced including flushing & replacing all fluid, new rear tire and replacement of little pieces that showed wear/age (lenses, mirror stalks, pegs, etc.). Now I just have to wait for winter to be over to do more than ride it around the block. I’m hoping to get some work/upgrades done before the spring. The exhaust has some minor rust spots, so I’m probably going to grind them and repaint the exhaust flat black, polish the spokes, and possibly vinyl wrap the couple silver-painted parts(gauge pod, rear fender supports, valve cover plastic covers) in copper.